Lounge / Dining Room: 22'11" (6.99m) maximum narrowing to 8'11" (2.72m) x 15'11" (4.85m) maximum. A bright and spacious triple aspect room which has been extended with double glazed sliding patio doors leading out to the rear garden. UPVC double glazed windows to three elevations incorporating a feature deep sill 'V' shape window to the side. Attractive fireplace with a raised hearth and inset living flame coal effect gas fire. Two radiators, T.V. aerial point, Artex ceiling, telephone point. Kitchen / Breakfast Room: 13'6" (4.11m) x 9'6" (2.90m) An extended kitchen / breakfast room with an excellent range of modern units having wood fronts comprising inset one and a half bowl single drainer sink unit with a mixertap, roll edge working surfaces, cupboards and drawers beneath, appliance space, plumbing for an automatic washing machine, inset Phillips four ring gas hob with a matching oven beneath. Electric cooker point, occasional pattern part tiled walls, a further range of matching units at eye level incorporating a cooker extractor hood / light, UPVC double glazed window and matching door leading out to the rear garden. Artex ceiling, fitted ceiling spotlights, radiator, Myson Orion gas fired boiler supplying domestic hot water and central heating. Shower Room / W.C: 6'4" (1.93m) x 4'5" (1.35m) With occasional pattern part tiled walls and a modern white suite comprising corner shower cubicle with an electric Mira shower unit and glazed doors, low coupled W.C. and wash hand basin. Radiator, extractor fan, Artex ceiling. 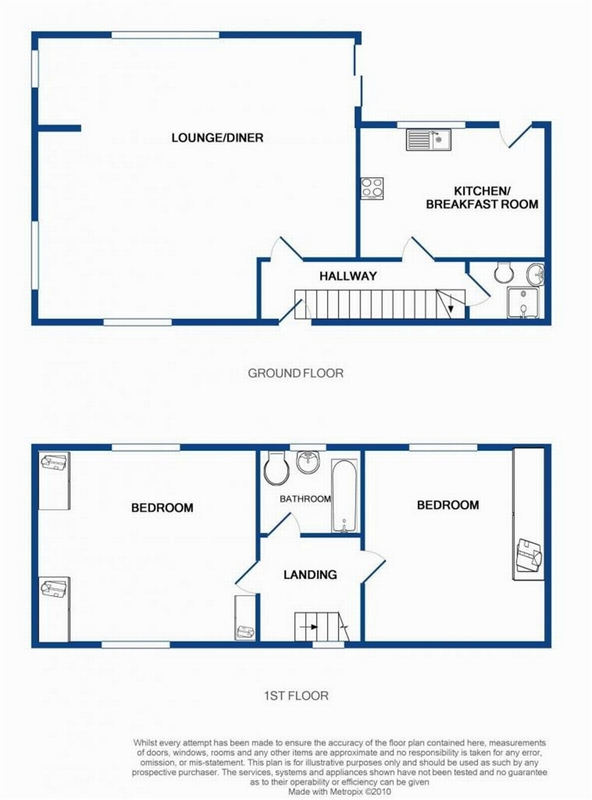 Bedroom 1: 15'9" (4.80m) x 9'4" (2.84m) A fine Master bedroom with a range of built-in quality bedroom furniture incorporating three double wardrobes, bedside lockers, storage cupboards and a corner dressing table having drawers beneath. Twin aspect UPVC double glazed windows with a feature deep sill square bay front elevation window. Radiator, Artex ceiling. Bedroom 2: 12'2" (3.71m) x 8'8" (2.64m) Another double bedroom with a UPVC double glazed window overlooking the rear garden. Two built-in wardrobes and storage cupboards over the bed recess. Radiator, Artex ceiling, built-in airing cupboard housing the insulated hot water cylinder with an electric immersion heater, thermostat, slatted shelving and central heating / timer controls. Bathroom / W.C: 8'2" (2.49m) x 5'6" (1.68m) With occasional pattern part tiled walls and a modern coloured suite comprising panelled bath with twin handgrips, mixertap and a shower attachment over, glazed shower splash screen. Pedestal wash hand basin, low coupled W.C., radiator, obscure UPVC double glazed window, Artex ceiling. Outside: The property is situated on a corner site in a small select development of modern houses close to the seafront and the fine walks along the River Otter. A driveway then provides access to ATTACHED GARAGE 17'2" (5.23m) x9'5" (2.87m) with an up and over door, power / light connected, shelving and fitted workbench. The rear garden is attractive and enclosed enjoying a good degree of privacy. The garden is arranged for low maintenance being mainly laid to paving bordered by two semi-circular well stocked flower borders with various shrubs and conifers. timber garden shed, outside water tap and useful side gate.